Sam was out for three weeks this summer. We had a really great time and did a lot of activities. 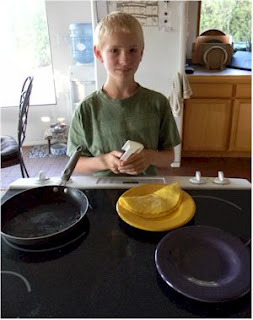 Sam learned how to independently cook omelets this summer and he made us breakfast everyday for two weeks. Although I'm a little tired of omelets, I have to say, I miss making breakfast with him - he can really make a perfect omelet as evidenced in the photo. Sam and I visited the library a couple times. We all went to our favorite used bookstore - Under Charlies Covers - which Sam absolutely loved! The store is full of shelves 8 feet high, and the floor is covered in piles of excess books that won't fit on the shelves - it is an absolutely amazing site, and more amazingly, very organized. Sam and I visited my friend Joann at her pool, and Sam met many of the girls I knit with there. They all coo'd over how handsome and intelligent he is. He swam until he looked like a white raisin. Sam and I took a trip up to Jemez with the intent of taking a river hike and having a picnic. Unfortunately the mountain rains had flooded the river over hiking capacity, making the river unsafe to hike, so we made due with a long picnic full of cold hotdogs and good books. The weekend before Sam went home, Uncle Josh came for a visit. He was treated to some of Sam's omelets and gave Sam a quick lesson in filled omelets. We spent most of one day down at the park. Sam showed off his soccer skills and picked up some very valuable one-on-one coaching from his uncle. We played on the playground for a while once Sam had tired from practicing. 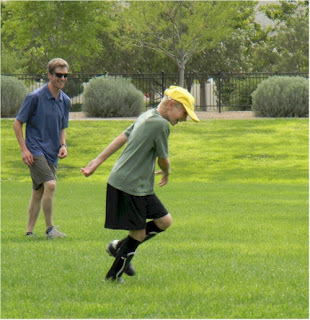 Sam really appreciated his time with Josh working on soccer skills. Later that afternoon, Josh, Sam and his Mom played a round of Putt-Putt golf. Josh took first in the Men's division, Sam took first in the under 30 division, and I handily took the women's trophy. Later that evening there was an amazing Uno tournament that lasted a solid couple of hours. Sam visited my very dear artist friend Jess in her studio one day for a one-on-one acrylic painting lesson. Jess is a GREAT teacher. She took time to set up an easel for Sam at the appropriate height, built a still life display for them to work from, taught him back painting, shading, highlighting, and color mixing techniques, working side by side to paint the same scene, step by step. In the end he came home with a beautiful picture and a big smile. 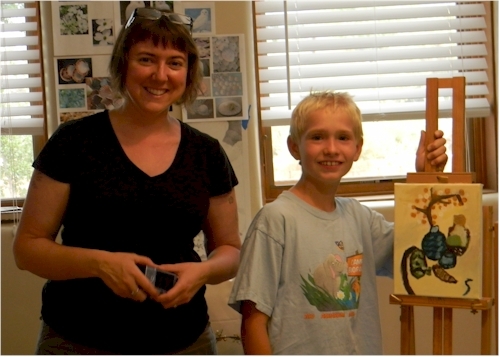 He had a lot of fun with Jess in her studio. I'm pretty sure she had fun too! I've got a couple more pictures to share. Here is Sam with some of his belated birthday gifts. 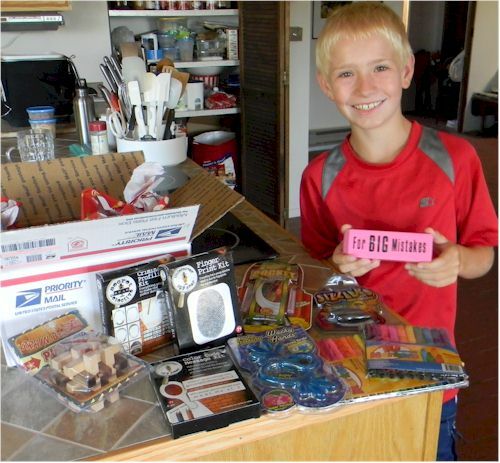 He truly loved everything he received. We worked to send hand made thank you notes to everyone. Those who sent money and gift cards - know that that money was spent on DS games, LOTS of books (we had to check the very heavy luggage back East!! ), and some was put away in his long term savings account. 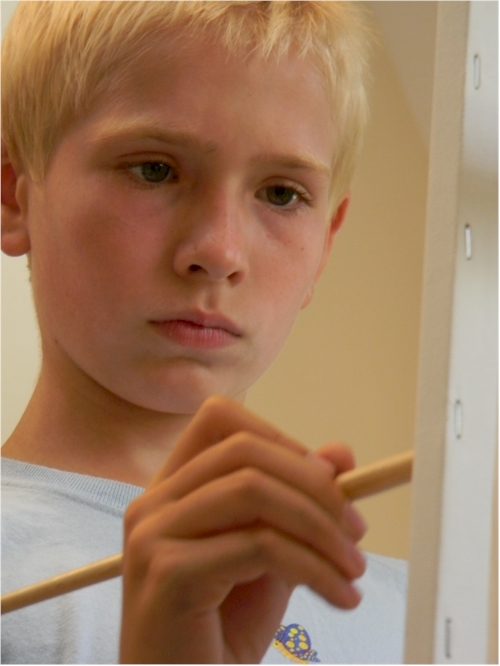 And finally, here is a picture of my very handsome son working intently on his painting. I think this is a gorgeous portrait of him, even if he isn't smiling. Jess has some fun pictures of us in the studio that I'll share as soon as I get copies. Swatching... and the "Terrible Too's"
I spent most of today knitting swatches and playing with yarn. Sometimes I really hate swatching. 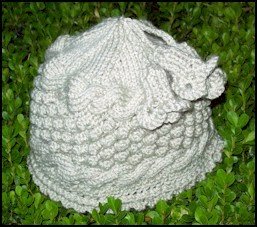 I'm an Instant Gratification Knitter (IGK), which falls in stark contrast to my perfectionist nature, and generally makes my time spent swatching some sort spiritual battle. Swatching is VERY important (still I hate it), especially when making any garment. Knitting say a sweater in the wrong gauge will result in a garment with a bad case of the "Terrible Too's": Too long, too short, too tight, too loose, too drapey, too firm... Too's. And I know this, and I've experienced this, and still I resist swatching. Why you ask? Instant Gratification. I hate spending time knitting a square, washing and blocking it, only to discover that either my gauge is perfect and I could have skipped this step or that I have to repeat myself (perhaps more than - God forbid - twice!) burning more time and yarn. But it's not only the IGK in me that hates it; it's the Perfectionist as well. Today was a perfect example of this. I'm working on a new design and I'm very excited about it (wooo hooo.... let's cast on! says IGK), but the yarn, a lovely Malabrigo, is variegated and therefore doesn't really fit my original design concept with a cabled panel, which, sadly, hides in the color changes. Okay, so reworking the design requires a change in the overall fabric I'm creating, so now I need to swatch multiple textures to discover which works best with this particular yarn my heart is set on. Fortunately, because I'm only working to find a texture I like, I'm not looking for actual gauge measurements yet and don't need to go so far as washing and blocking. Still, the Perfectionist demanded EIGHT texture swatches, and I will still need to knit additional swatches for gauge in order to do the necessary math for the design itself. But, if I hadn't started with my swatches, I'd be fighting the Terrible Too's instead of typing to you. 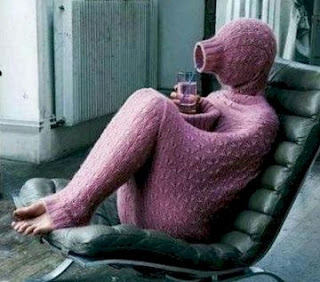 The cable feature would have been too obscure, and the overall body would have been too busy with pooling and flashing, and I'd be sitting in a swamp surrounded by frogs of yarn and disappointment. Swatch. Simple Work Avoids Terrible Crafting Hell - ok, it's lame, but you get my point. Comment with your creative S.W.A.T.C.H. acronym solutions - I'd love to see some other catchy phrases. 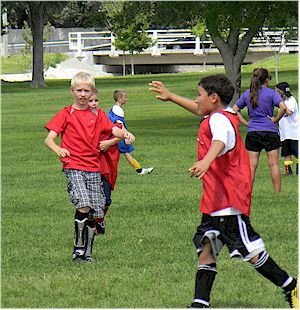 Upcoming Classes for Fall 2011! I'm very excited to announce my Fall 2011 Class Schedule. These classes will be available at Village Wools - 5916 Anaheim Ave. NE, Albuquerque, NM 87113 - (505) 883-2919.